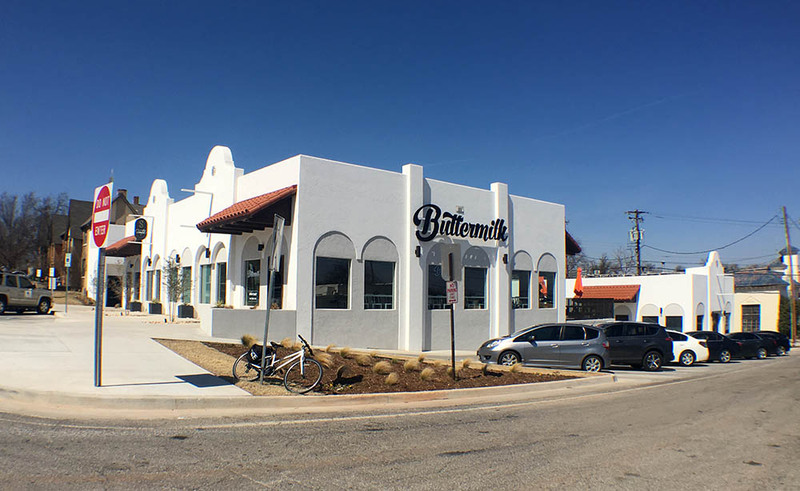 After opening his third concept just last week, restaurateur Todd Woodruff is ready to move onto his fourth: a permanent location for Buttermilk Sliders. 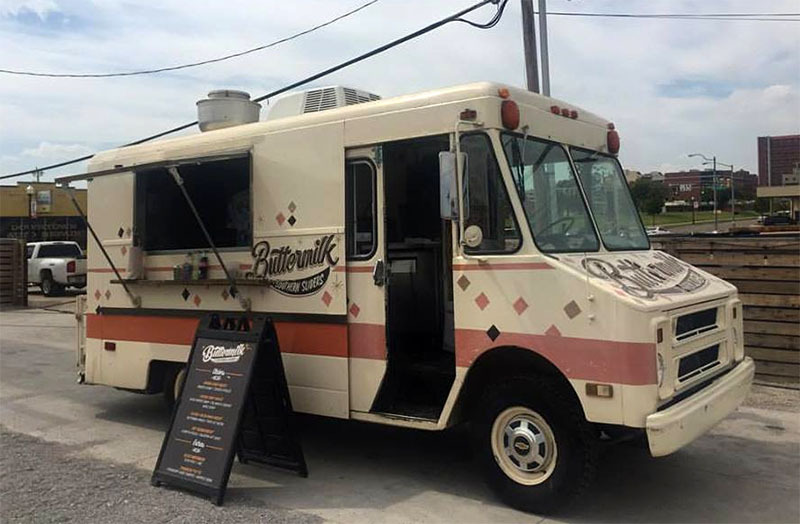 Similar to Woodruff's first venue Waffle Champion, Buttermilk Sliders began as a successful food truck. 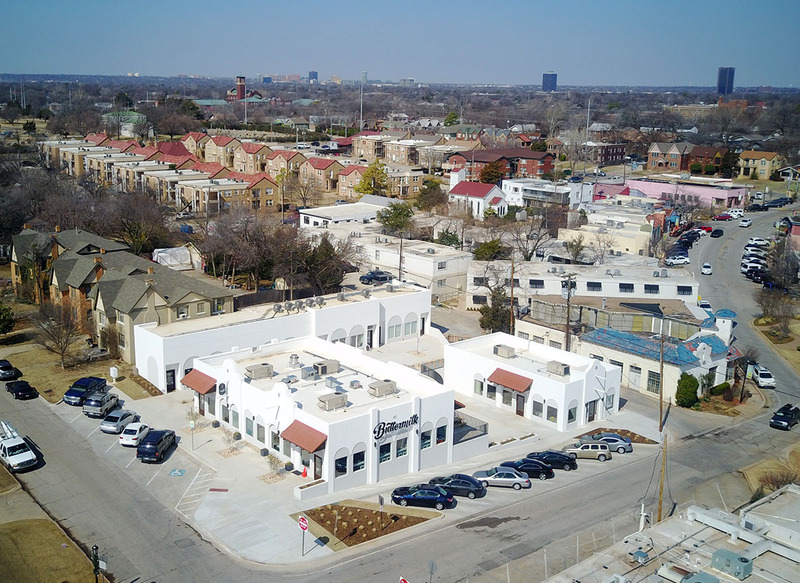 Now the plan is to move into 1,500 square feet of space at the Pueblo at Paseo project, taking the highly visible southeast corner which also features a large patio. 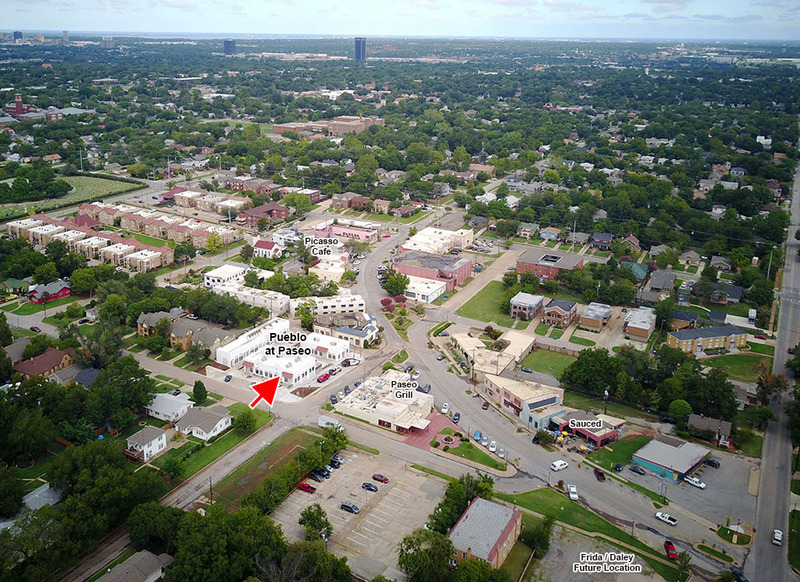 The space is directly east of Scratch in the fully-leased project which has seen a few tenants already open for business. 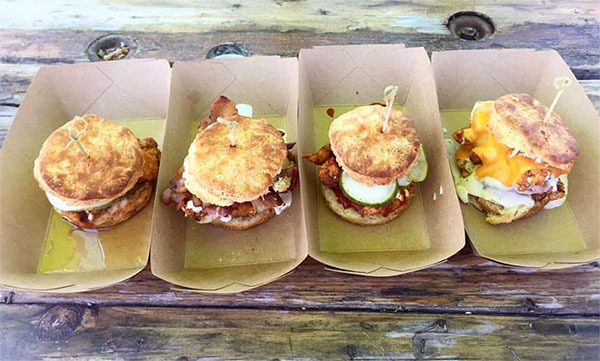 The new breakfast and lunch spot will expand their menu with influence from notable Los Angeles eateries eggslut and Free Range L.A., adding to their popular from-scratch biscuit sandwiches and dishes. Beer, wine and cocktails will also be served. Interior design will be Southern contemporary with clapboards and black accents. Hours will be 7AM to 2PM Tuesday through Sunday. 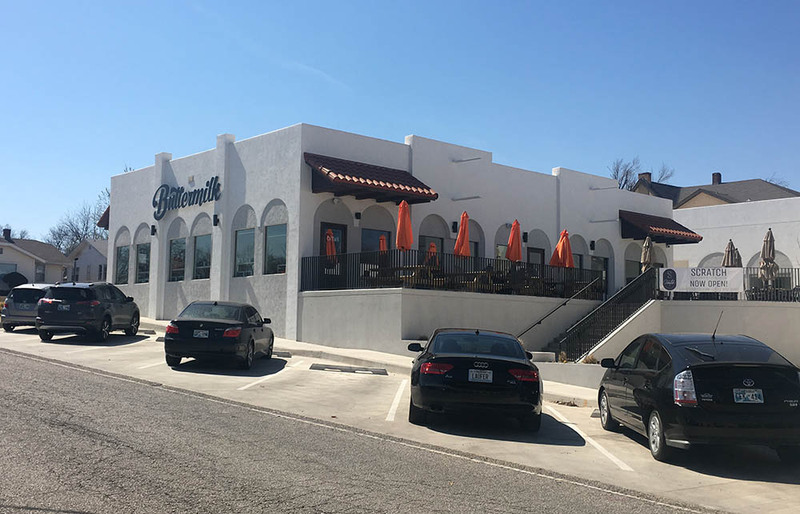 Woodruff will be the managing partner of a group that also includes Jeremy Foraker and Shaun Fiaccone who operates the neighboring Picasso Cafe and who will soon break ground on nearby Frida. Just last week, Woodruff opened Nonesuch at 803 N. Hudson, a 20-seat tasting menu restaurant. This follows the wildly popular Waffle Champion and Maple's Barbecue, also located in Midtown. Wow.... Biscuit places are becoming the new trend..... Good thing because I love a good biscuit. Are the prices similar to waffle champion? It's been a bit since I went, but I remember a (good sized) biscuit being $7-$8. Pete, would it be possible to get this wide Paseo shot without the text and arrows for personal use? It's a wonderful shot of the area and has my house. 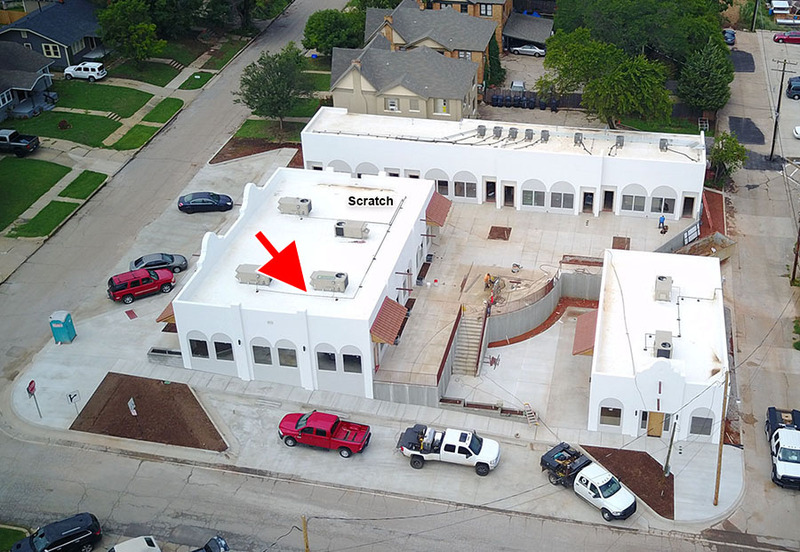 Buttermilk Sliders should be open in about two weeks. Super cool little place and Scratch next door is killing it. Went last night around 5PM and got one of the last seats; people were waiting just about the whole time I was there. I don't know if there was something special going on last night but when I left around 8 there were cars lining both sides of all the surrounding streets. 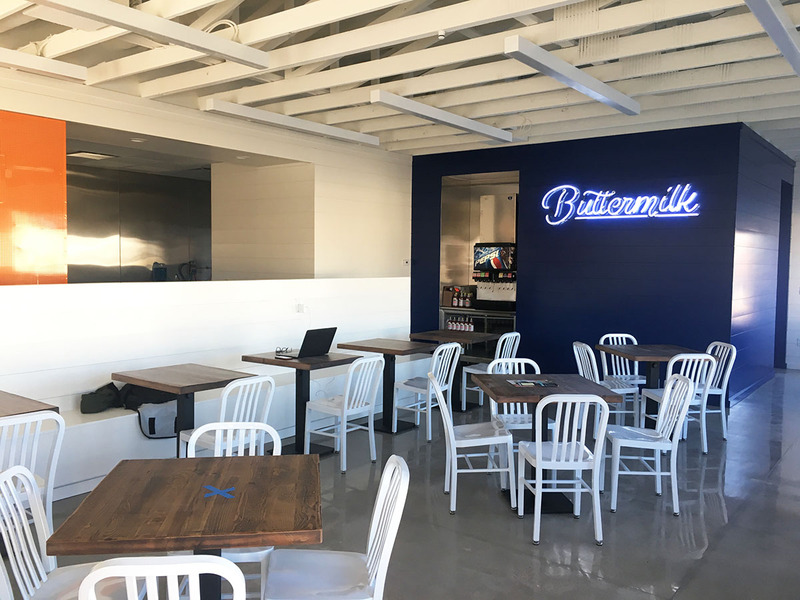 Buttermilk will have its grand opening this Friday. Let the Biscuit Wars begin! Here's the Google Maps entry, though it is a little bare at the moment. I'll add some pictures when I go by (probably on Friday, assuming they're open for lunch). 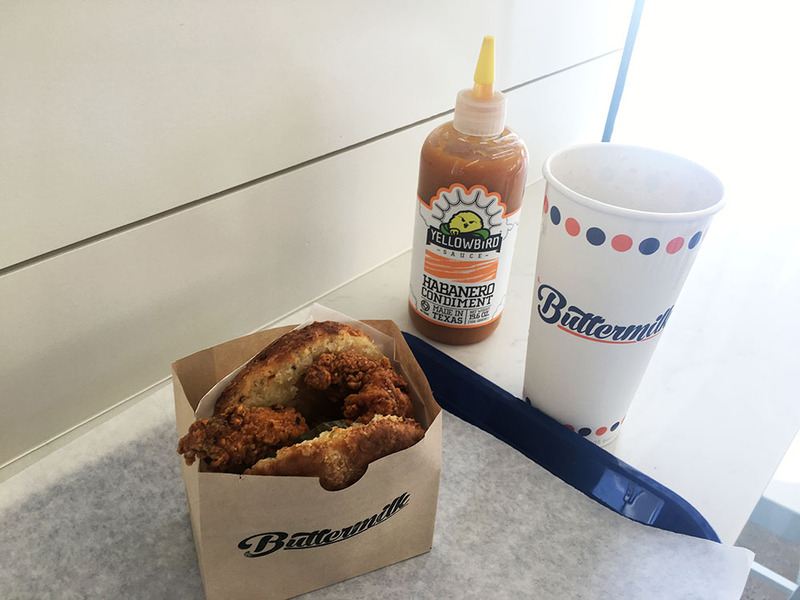 I've said it once and I'll say it again: if this place makes it's own (good) version of the honey butter chicken biscuit, my money will be going here instead of HB. Regardless, I'm very excited to have multiple biscuit locations, both about a mile from my house. Went to a soft opening today ahead of tomorrow's grand opening. Had the Honey Chicken Biscuit and it was pretty fantastic. Their biscuits are different than those at HunnyBunny... These are a little crispy on the outside and are flavored differently (noticed black pepper). I freaking loved mine and especially for a decent sided sandwich with lots of tender chicken it held together perfectly and also wasn't so tall you can't fit it in your mouth. I didn't have it but they also had a cheeseburger version that looked darn good and several others. Such a cool little place right next to Scratch and both places now have their patios open in time for the nice weather and the Paseo is just such a great setting for a place like this. 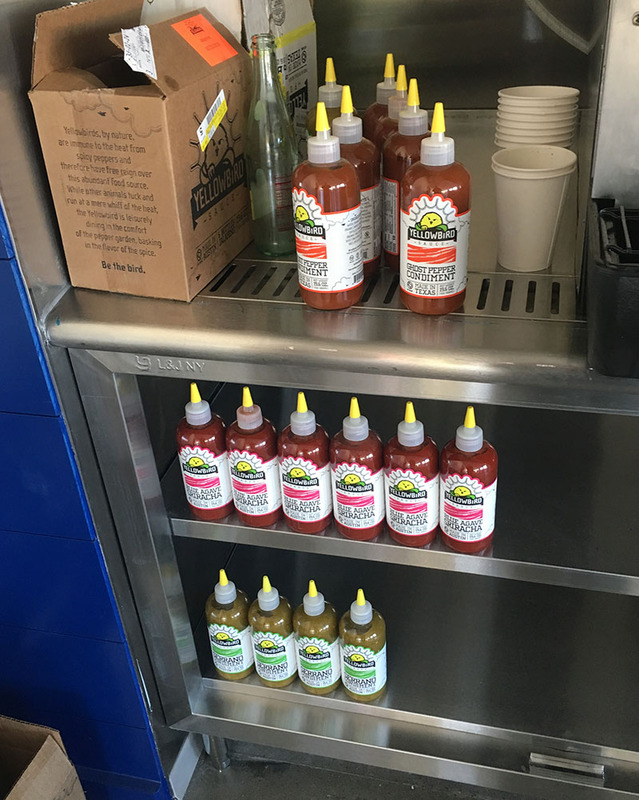 And I *love* the hot sauces they have on hand. I tried the habanero which had a decent kick but was also sweet; they also have a ghost pepper version, sriracha version and one other. 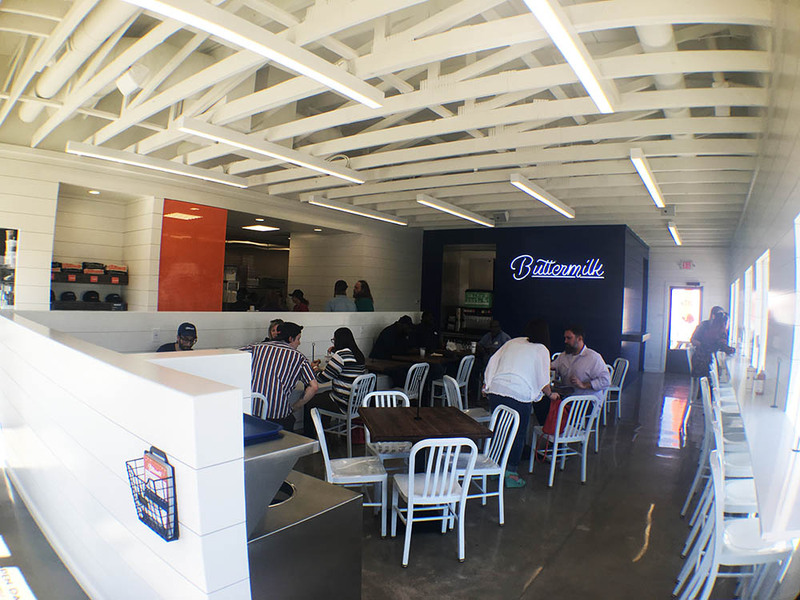 I think it's pretty cool that one company is spreading the love to three districts (Buttermilk/Paseo, Waffle Champion/Midtown, Maples/Plaza). Does anyone know hours of operation? Stopped by for lunch, I enjoyed it. Moreso I think than the hunnybunny biscuit company. Biscuit was crispy on the outside, and soft on the inside. I wish they offered waffle fries that are served at waffle champion. Since they were using tenders as opposed to a tendereized breast, there were a few gaps where I only got gravy. They have "hash brown bites" at Buttermilk that looked really good but I didn't try them. I really wish this place( and Hunny Bunny) believed that people might want a chicken biscuit (or something else on their menu) at night and would stay open later. 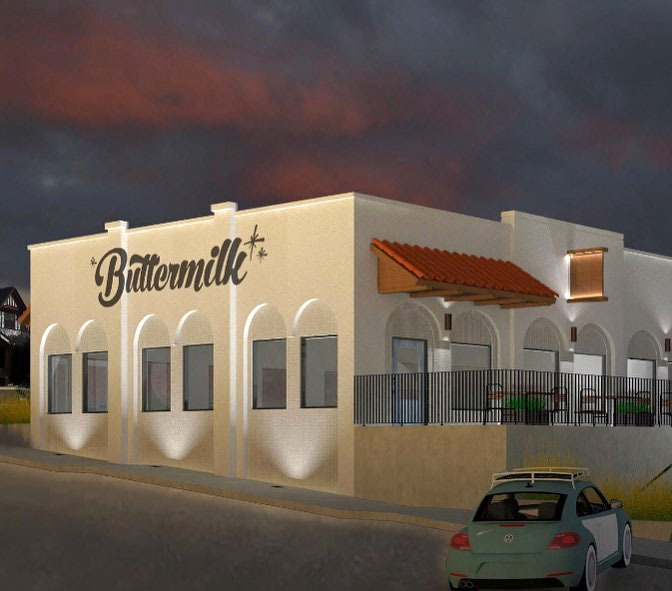 Maybe there wouldn't be enough demand - but I can easily see myself and SO and our friends spending an evening on that patio with Buttermilk for dinner and drinks from Scratch. That said, can't wait to try it. The sandwich and the hash brown bites look great. Remember that Waffle Champion adopted later hours on the weekend, so I would not rule that out here. ^ Very true. Here's to hoping they're successful enough to make that happen. they have promised land milk?!? sold. Restaurant that makes buttermilk or sourdough pancakes from scratch?